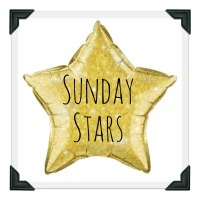 Hello and welcome to the Sunday Stars linky for this week (14th June). This is a brilliant place to share your favourite posts each week. It is run by a group of us, taking it in turns each week to co-host and this week it is myself and Jess. Jess and I are both really looking forward to reading your star posts! Thank you to everyone who joined in last week with our lovely hosts Heledd and Amy. Their favourite posts from last week were “6 Ways Your Life Will Change After Children” by Hello Archie, and “My grandmother, the single mother” by The Single Swan. Really brilliant posts – definitely go check them out if you haven’t had a chance to read them yet. Finally, it’s BritMums Live next week so if any of your lovely linkeruppers are going please come and say hello!